The usual morning neighbourhood jog getting a bit ho-hum? 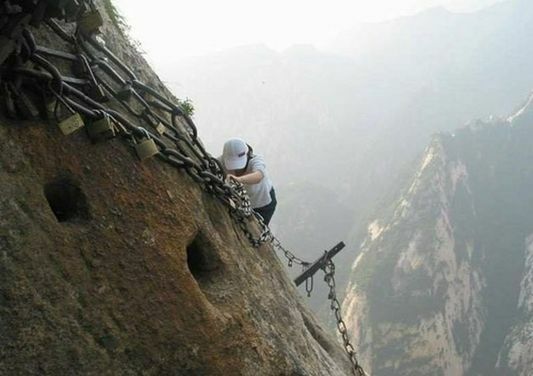 Fancy a mountain hike? 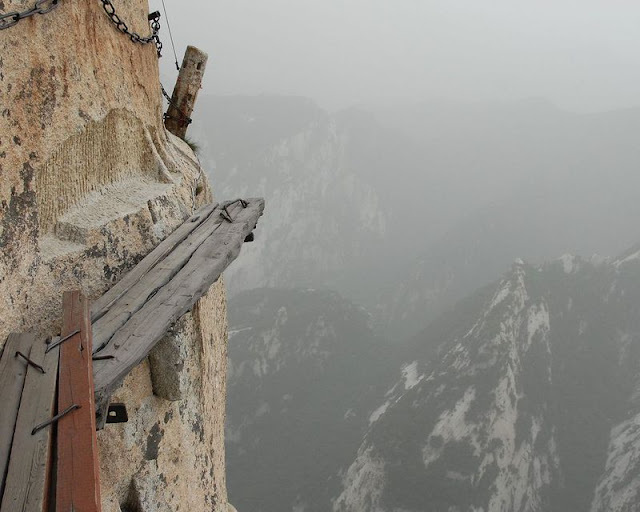 Try Huashan for a change. Click here for a full pictorial spread. 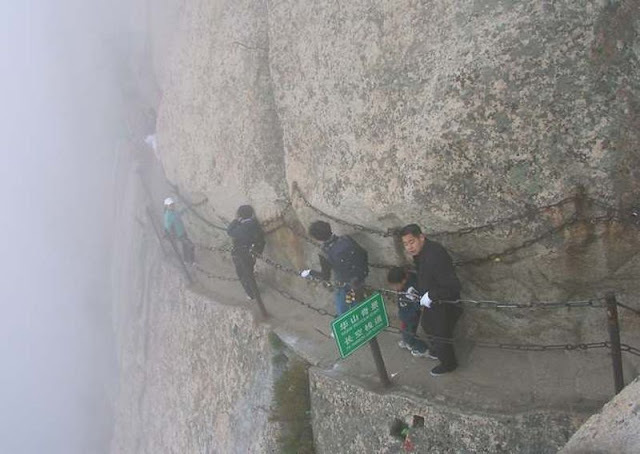 The Huashan mountain, located in Shaanxi, China, has five main peaks, of which the tallest is 2160 metres. 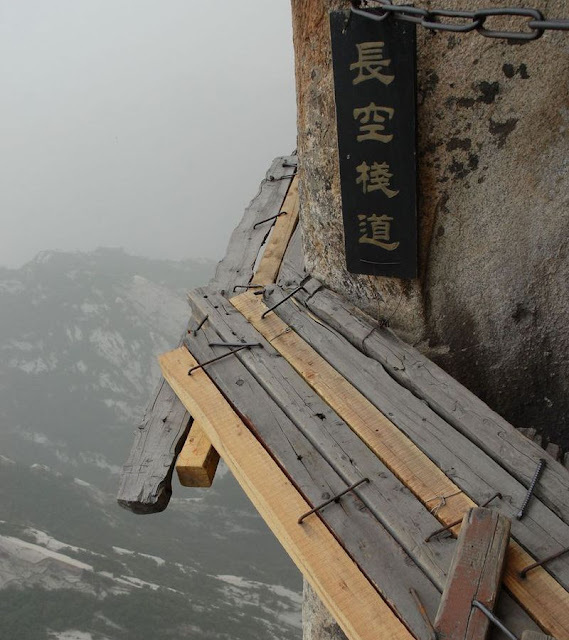 Huashan has historically been a place of retreat for hardy hermits, access to the mountain was only deliberately available to the strong-willed, or those who had found 'the way'. 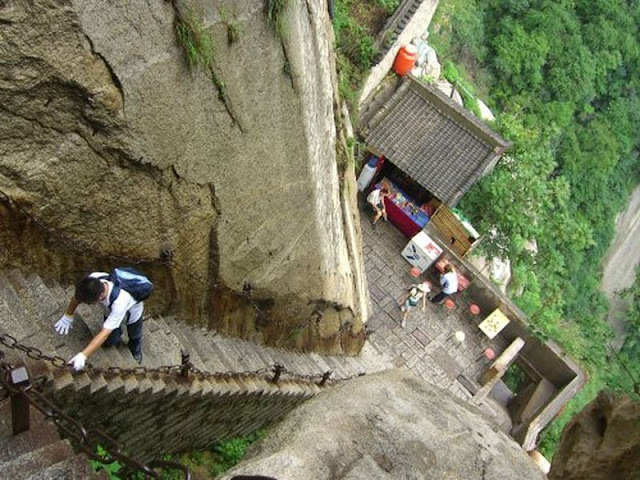 Hiking in Huashan remains dangerous despite modern safety measures. Hua Kung Fu is said to have originated from these mountains.